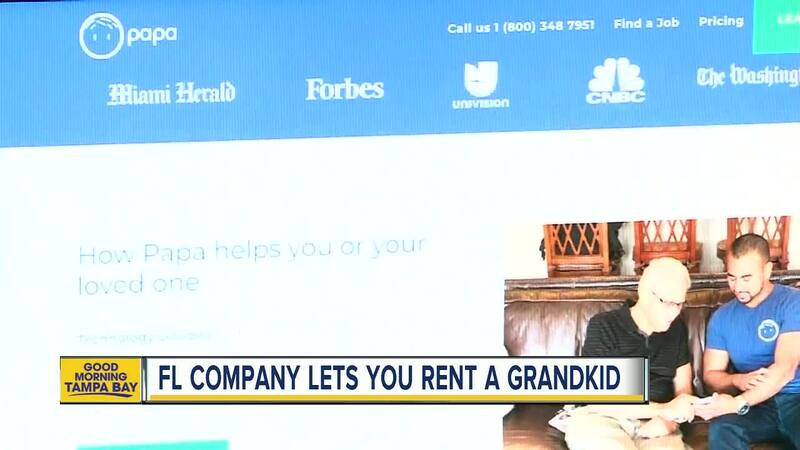 Grandparents can now rent a grandkid to help with daily tasks but more importantly for companionship. The pals, as they’re often referred to as, help fill the gaps for a senior citizen when their family is unavailable. Barbara doesn’t have a nurse to take care of her daily anymore. The company has about 250 active seniors and 300 pals. Pals are always vetted students — who usually study medicine, nursing or hospitality. The pal is paid hourly but it’s hard work. “We’re hoping to take a trip to visit him up there,” Kristy says.